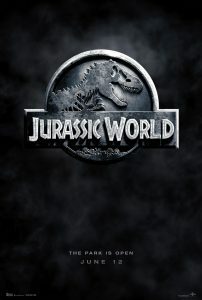 What it’s supposed to be: The long-awaited sequel to the Jurassic Park franchise — nearly 20 years in the making! Sort of. Why it’s a Christmas movie: Taking place just before Christmas, the opening of the movie has Christmas carols and snow and feels just like a Christmas movie, right down to the strained family dynamics. The two boys are going to spend time with their Aunt, who runs Jurassic World, presumably for the holidays. As soon as they arrive on the island, though, those trappings are forgotten. Of course, they’re in Costa Rica, so the snow wouldn’t be present anyway. The movie ends with a family reunion, perfect for a Christmas more, although the parents are probably still getting a divorce. Thoughts: This is one of the best Jurassic Park movies. The dinosaurs make it exciting; the family dynamics make it interesting. While not perfect by any stretch, the characters are generally speaking likable (more so than in Snowmageddon!) and the action is spectacular. The sad reality of divorce and its effect on children make it poignant. The timing — that this is happening at Christmas — makes it even more poignant. It also gives a new twist to all those vacationers visiting the park for the holidays. Some of them won’t be going home for Christmas. I’m curious, honestly,y why they set the opening scene at Christmas and then, for the rest of the movie, made no mention or visual reference to the season, almost as if the opening and the main action of the movie were originally separated by something else to give it a longer period of time between the two segments. Is It Naughty or Nice? As far as strange Christmas movies go, there’s weaker connections.